We recently supplied and installed this SeceuroGlide Electric Roller Garage Door for a customer in Chalgrove, Oxfordshire. The plain white colour and functional roller design of this door really smartened up the front of the property for the customer. 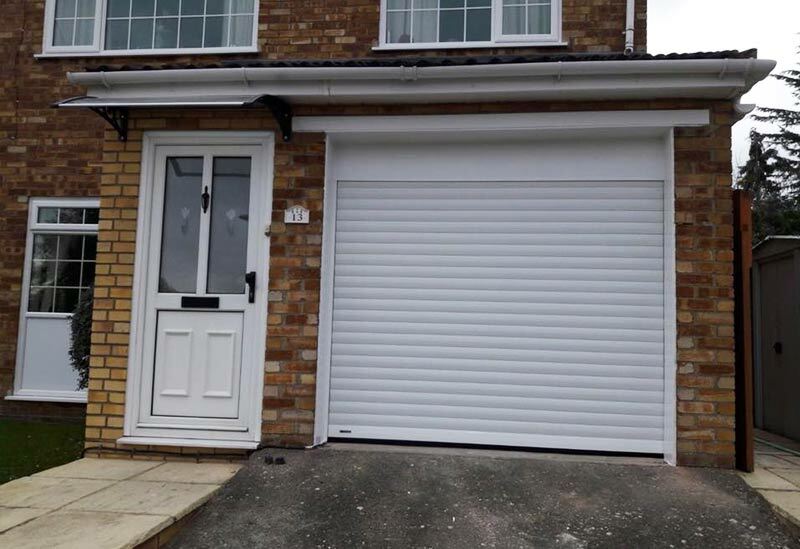 Shutter Spec Security can supply and install a huge range of garage doors and shutters, with an almost limitless number of colour and style options. Pop into our showroom in Thame and we’ll be delighted to talk you though every option available to you. To ensure your peace of mind our range of Garage Doors, Security Shutters and Retractable Grilles include insurance approved products that are certificated by the LPCB (loss prevention and certification board) and SBD (secured by design) which is a Police preferred specified product. All our products are CE marked against current legislation. We supply Domestic, Commercial and Industrial clients and pride ourselves on our trusted and personal service so whether you need a new garage door for your home or a complete security solution for your commercial property, get in touch now to arrange a no-obligation survey, or use our Quick Quote form and we’ll send you a ballpark quote by email. Shutter Spec Security are a member of CheckaTrade – the tradesperson review service. You can visit our profile and see what our fantastic customers think of the service they’ve received. © 2019 Shutter Spec Security. All Rights Reserved.